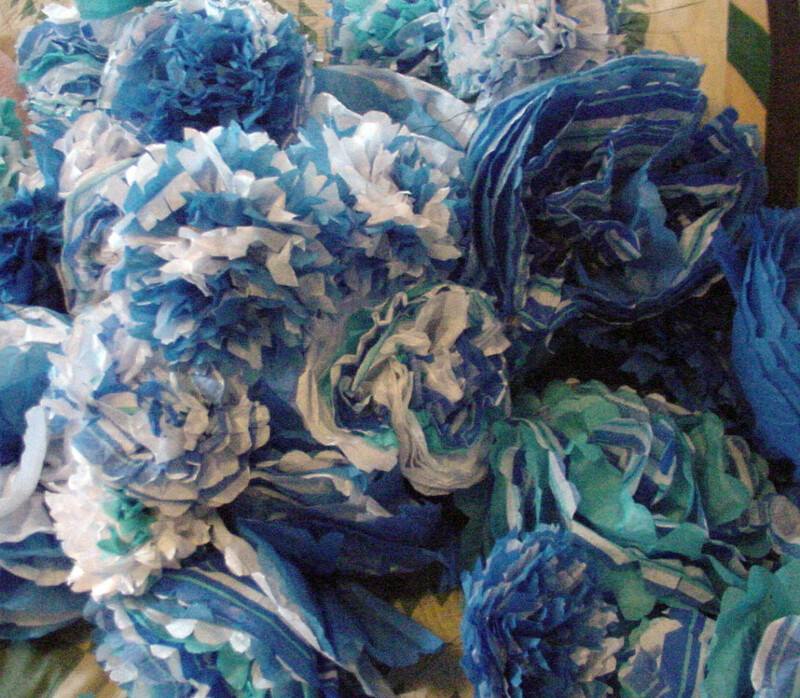 Marie (aka CraftyMarie) has written hundreds of craft pages across the Internet. She writes many fun tutorials mostly for adult crafters. 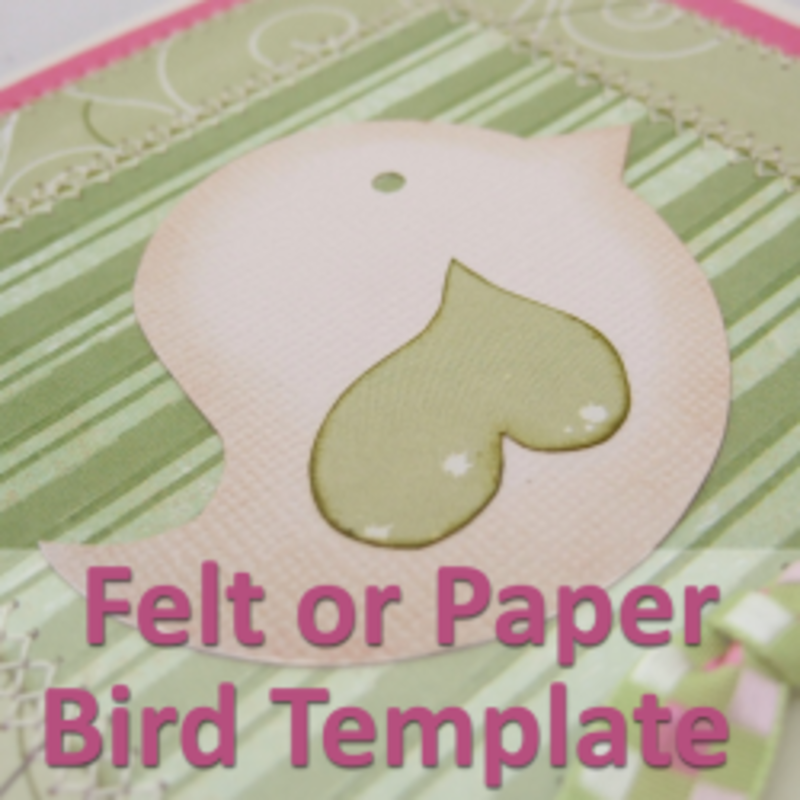 Cute and whimsical bird themed designs look charming and delightful as paper craft projects in scrapbooks, framed pictures and handmade cards as well as being great for felt and fabric crafts like home décor and as little soft plush items. 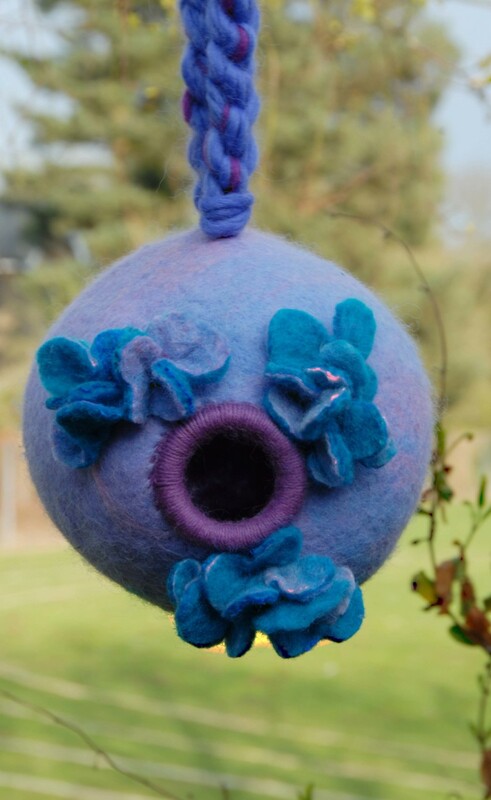 I'm an avid backyard bird watcher and my feathered friends give me lots of inspiration and ideas for crafty projects to try. 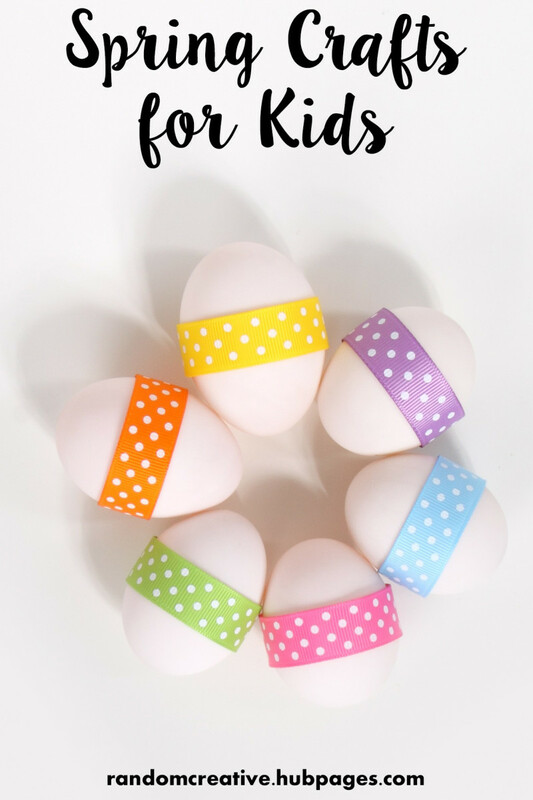 Just perfect for your springtime projects is this simple yet cute free template which you can use for a variety of projects that I'll give you ideas on making up too. It's an easily adaptable design that can also be used for Christmas Robin designs too. Enjoy the ideas and printable sheet on this page. The very same fun and whimsical bird design is one which I use for a variety of different projects. 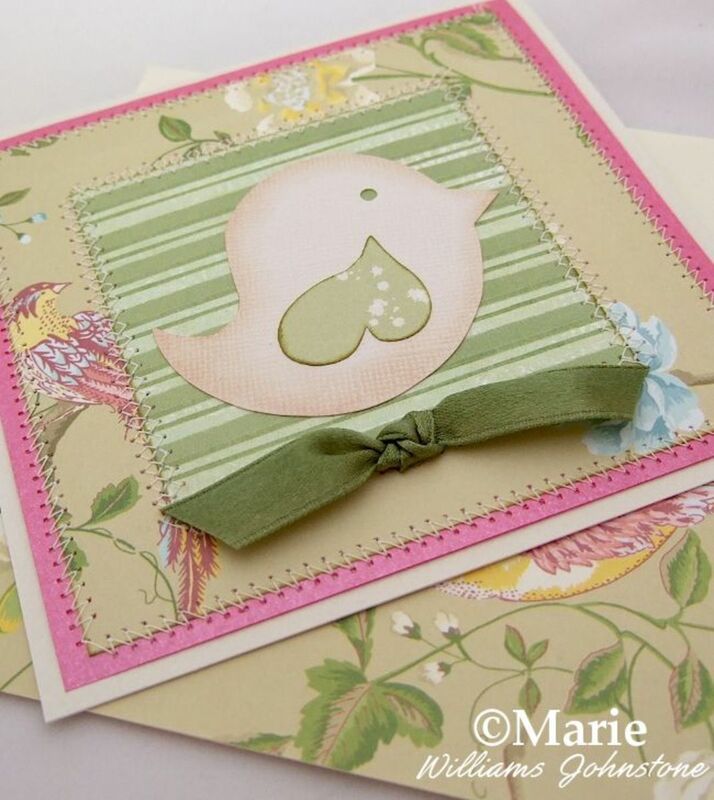 Here, I used it to create a really spring season feel handmade card with the soft, pale greens and just a hint of bright pink to add in some real warmth. I've used beautiful patterned scrapbook papers which are layered up and machine stitched together using simple variations on a zig-zag stitch to give some texture which helps to prevent the overall design from looking too flat. A simple piece of knotted ribbon and chalking around the edges of the bird are little details which stand out. You can add in some beautiful texture and detailing to papercrafts by machine stitching over the top. I particularly love the look of zig-zag stitches around edges of pretty papers. You can create some rather stunning patchwork effects this way. Just be sure to keep a set of needles specifically for paper crafts and another for fabrics since ones used on paper will blunt quicker and can snag fabrics if you don't change them. 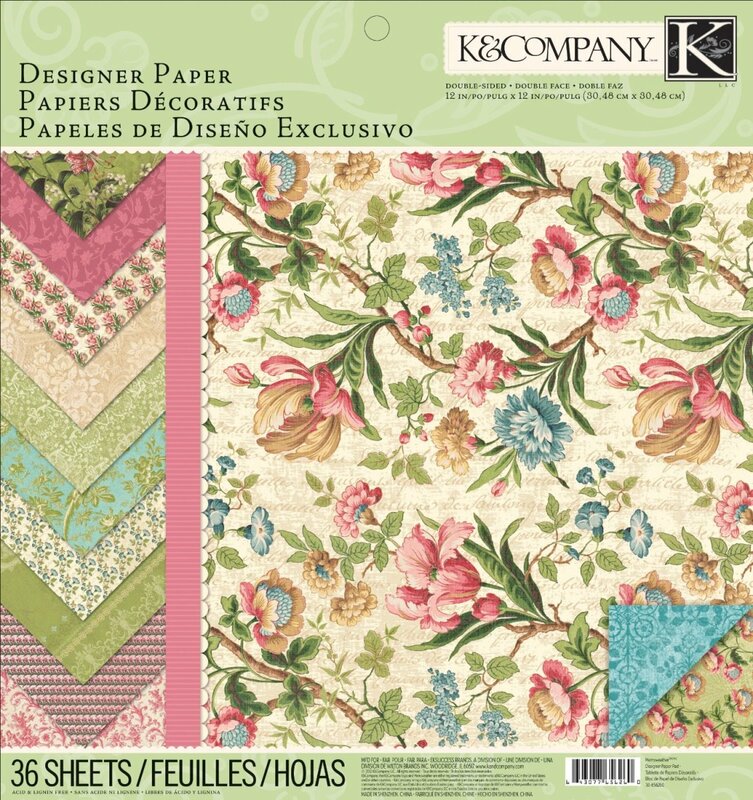 For most of my paper projects, I enjoy using intricate patterned scrapbook papers and I really love good quality ones such as these by K&Company. These are intricate designs that you might expect to see more on fabric and I can't get enough of spring color schemes that incorporate green and pink. 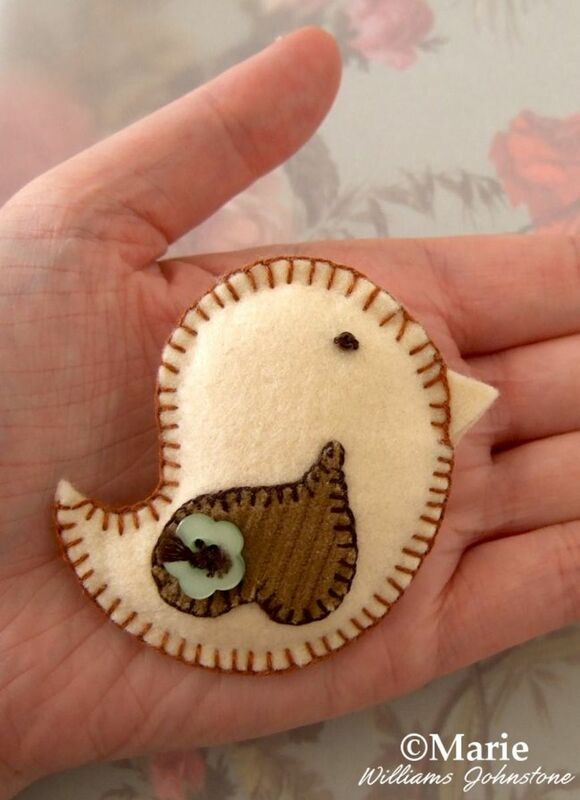 Along with paper crafts, I also adore hand stitching little felt plush items too. 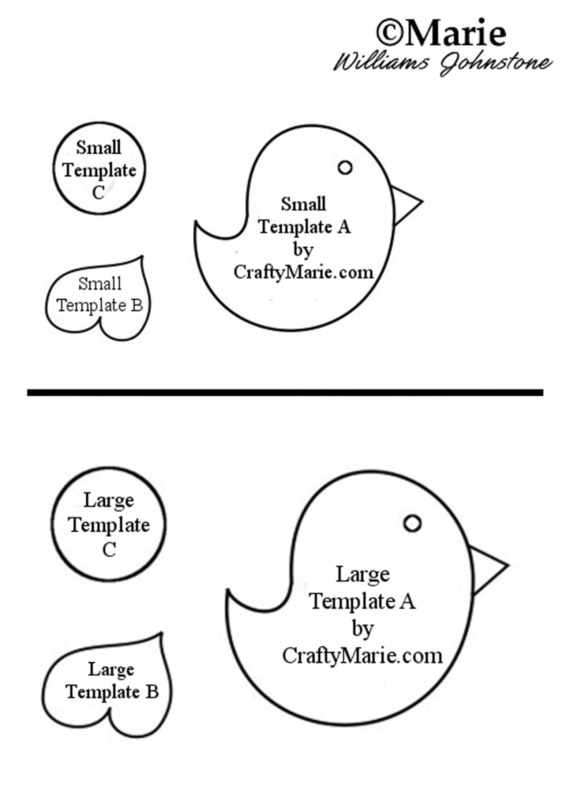 I've used this same template many times to make brooch pins, magnets, hanging decorations and keychains. Match those up with a card like the one shown above and you have a matching set which works as a completely themed handmade gift. 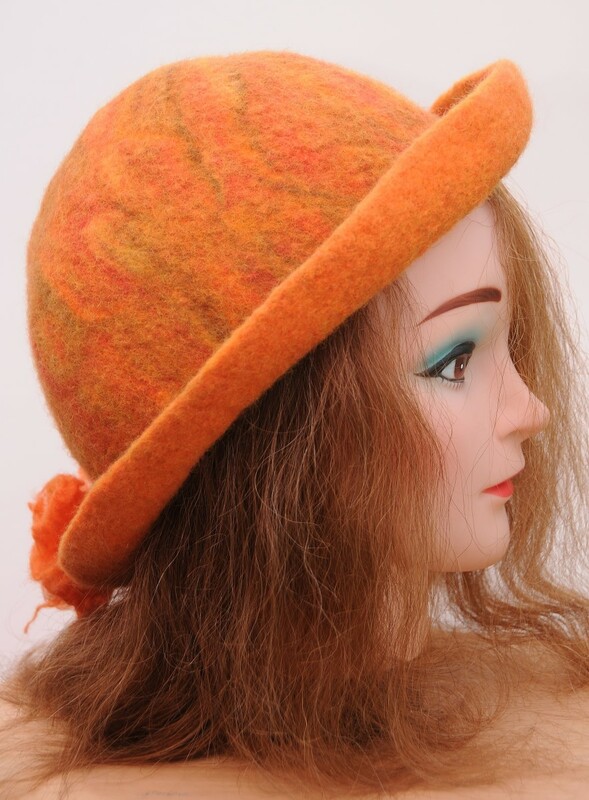 Felt is a fabric that is just so easy to work with because of the non-fray edges and the fact that it's a fabric which comes in many colorways and it's so easy to sew. 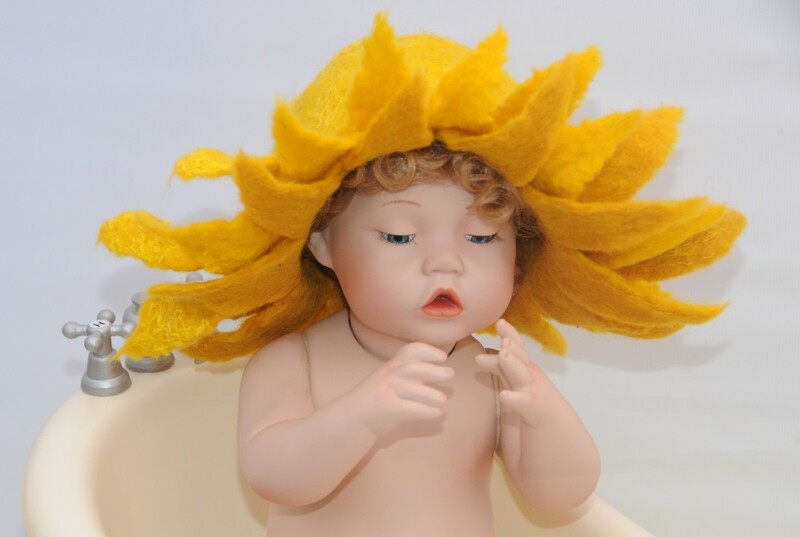 You can also pair it up easily with patterned fabrics too which makes it entirely versatile. 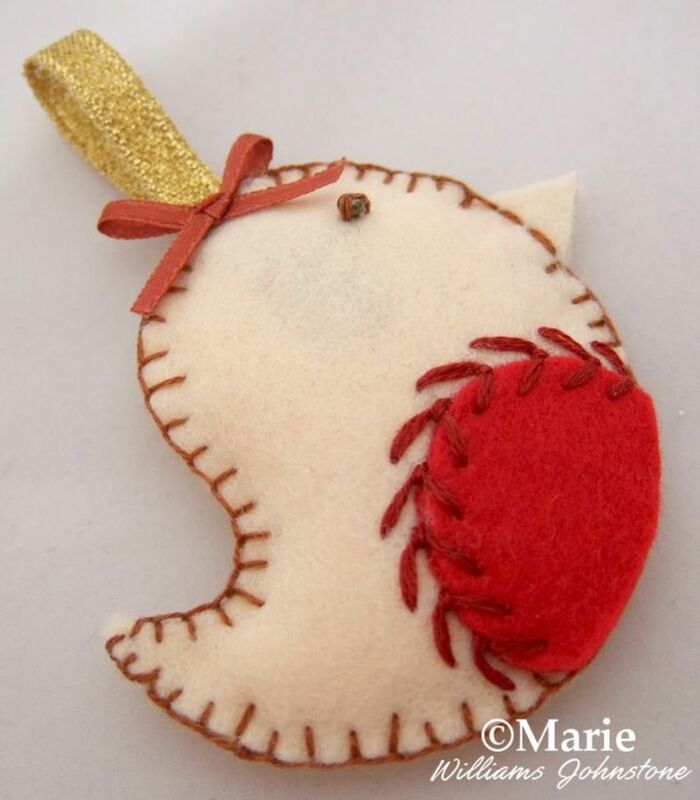 This cute and simple bird makes a fun felt brooch if you sew on a pin fastener at the back, a hanging ornament with the addition of a loop of twine or ribbon, a keychain with ribbon attached to an appropriate metal fastener or even a toy by enlarging the pattern. 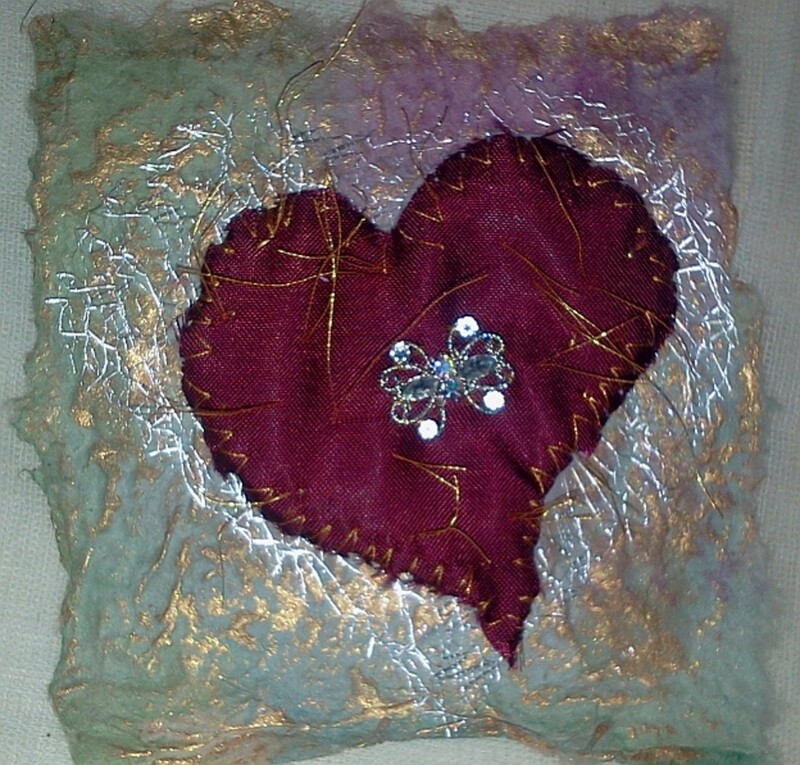 Or just use the design for applique for a framed picture or cushion motif. If you want to make squishy plush birds, you need a small amount of toy stuffing which is easy enough to get from Amazon and you'll need to cut two pieces for the main body of the bird - one piece to go at the back and one at the front with the stuffing sewn between. I keep lots of varieties of felt in stock from the cheaper craft felt to more expensive wool versions. 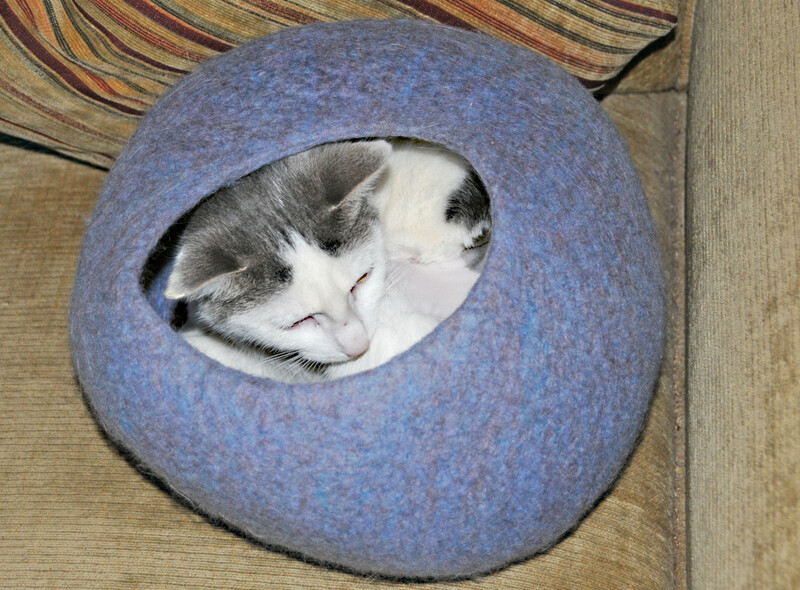 For most projects I use acrylic felt or an acrylic/wool mix. Pure wool felt has a very different texture and looser, softer fibers which I don't personally like for small plush items. Buttons are fun details that work well with felts and you need toy stuffing like this polyester fiber for stuffing to plump your item up. The template is adaptable so you can use it to also make a festive Bird such as the Robin who is ideal to make as a Christmas hanging ornament by adding a loop of ribbon. They don't take too long to make and you could use these as little gifts for the festive season or even stocking stuffers. We love to have a few hanging on our tree. For crafting with kids, make some bigger Robins from card for the main body and then children can enjoy decorating these using red paper, felt or craft foam pieces cut to make the chest and fixed on with PVA. Then give them items like flat beads, gems, buttons and sequins to make an eye for the bird. 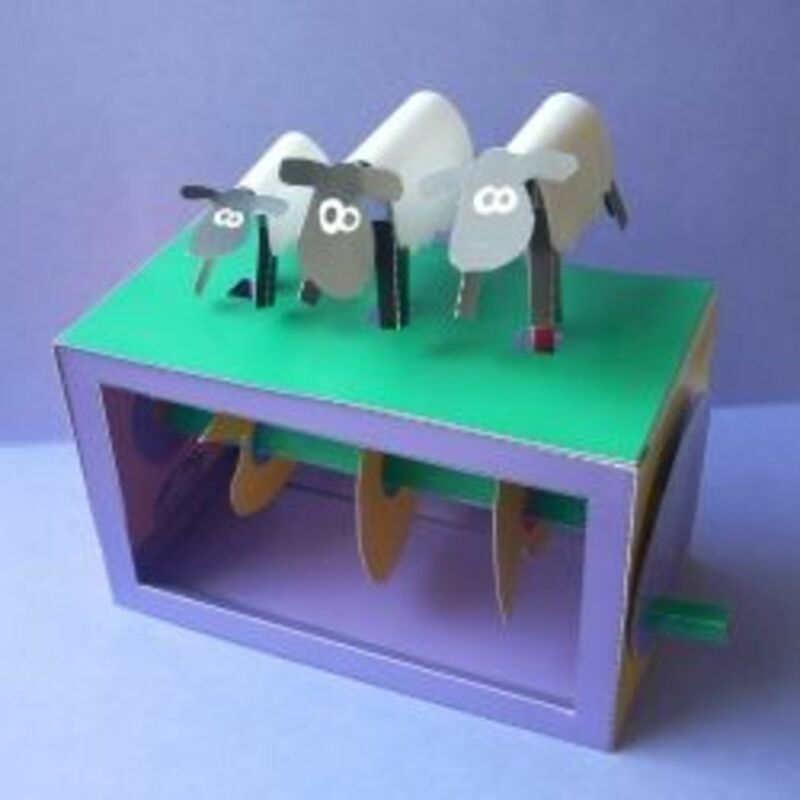 Children can get creative with a project more suited to their liking which is normally messy! I hope you've enjoyed reading my lens or article today, thanks for your visit. I hope you can make use of this versatile birdy design in your crafting as I've certainly done over the years. What are Your Favorite Bird Crafts? Your Comments - Do you love bird crafts? Would you enjoy making this whimsical design? @SusanDeppner: Thank you, Susan. I have worked hard at trying to get good clear photos - I am lucky to have a nice camera that is easy to use! Your photos are always outstanding. I really do like this whimsical bird design!